Harry Potter is a phenomenon the world over, even more so this year thanks to the launch of the new Harry Potter & The Cursed Child plays, so forgive us for being just a little overexcited about this one. Because it’s true – the house where Harry Potter grew up has gone up for sale and is now listed on Rightmove! 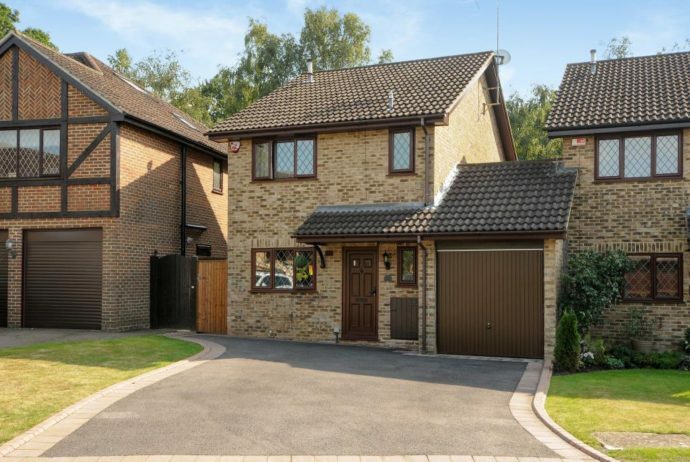 The property used as the infamous 4 Privet Drive in the film adaptations of JK Rowling’s books has been put on the market, although in real life the house is actually in Bracknell, Berkshire, around 50 kilometres west of London. The property has already had almost 200,000 views and frankly we don’t blame all of you eager Potter maniacs for wanting a look inside the place Daniel Radcliffe’s iconic character grew up in before heading off to Hogwarts in Harry Potter & The Philosopher’s Stone. In the books, Harry is forced to live (in the cupboard under the stairs, no less!) alongside his cruel aunt and uncle, the dreaded Dursleys, in the suburban 4 Privet Drive address while growing up in the wake of his parent’s death at the hands of He-Who-Must-Not-Be-Named. But away from the fantasy world of Harry Potter the property is a stunning family home – boasting three bedrooms, a refitted kitchen/breakfast room, a master bedroom en-suite and yes, wait for it, a cupboard under the stairs! The property is currently listed for £475,000 so if you fancy owning a piece of cinematic history then get in touch with Chancellors! But just remember… it’s Wingardium LeviOsa…not LevioSA!